Leslie Howard is a 2007 graduate of Charleston Southern University’s School of Business. She has 14 years of professional banking experience in the areas of lending, program management, financial education, business development and community involvement. Leslie was born and raised in Charleston, SC, but she spent her childhood summers in her mother’s native county of Chile, South America where she mastered her fluency in the Spanish language and culture. Leslie is married to Anthony Howard who is a Director at The Lowcountry Food Bank and they have two sons named Richie and Joseph. She proud to be partnered with the Charleston Property Group & Keller William’s Realty! Leslie is someone who is constantly going above and beyond for her community. Leslie is committed to growing her career and her dedication to her clients proves that she’s in the real estate business for more than just making a sale. Leslie is a one-stop shop for her clients. She was a banker for 14 years before she became a REALTOR® so she offers financial education as part of her real estate offerings. She is hands-on with the pre-approval and credit/credit repair process. She encourages people from all walks of life to reach the goal of homeownership. She encourages people who may be embarrassed by credit issues to demand the dignity they deserve and start repairing their credit now to change their financial picture and reach their goals! Leslie partners with lenders and local credit repair agencies to help clients get on the road to homeownership! She emphasizes the importance of effort, mindset, and trusting the process! Leslie is a bi-lingual and bi-cultural REALTOR®. She is a dual citizen of Chile & the USA. She is on the Charleston Property Group Team and promotes CPG en Espanol to reach/help the growing Hispanic population in Charleston. She services English and Spanish speaking clients, which has truly grown her book of business. 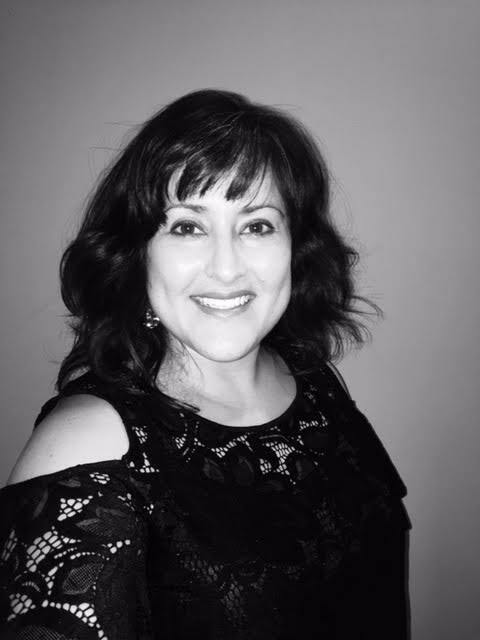 She is fluent in oral and written Spanish and is able to assist Spanish speaking clients with all steps of the home buying process – from the loan to the attorney closing. She also started out referring listings to her team lead and focusing on being a buyer’s agent. Over the past year, she has shown a desire to be more hands-on with the listing process and now co-lists with her team lead. Leslie is always looking for ways to learn and grow! As mentioned above, Leslie is very active in the Charleston Hispanic market. Many Hispanic clients were unable to obtain mortgages/homes, so Leslie researched and partnered with ITIN lenders to enable non-social security number holders the ability to obtain mortgages to purchase homes. This promotes affordable housing options for all. Leslie is very socially & culturally literate; aside from assisting the Hispanic community, she has assisted African American and Russian clients as well. Leslie is a huge proponent of fair and affordable housing for all. Leslie hosts lunch and learns for local schools/teachers and is a business partner at her children’s school providing quarterly prizes to teachers. She partners with the Lowcountry Food Bank to deliver Cooking Matters (healthy cooking on a budget) to Spanish to Hispanic communities. She also hosts food drives for the Lowcountry Food Bank and coordinates Food Truck Fridays in her neighborhood of over 400 residents to give neighbors a night off from cooking. 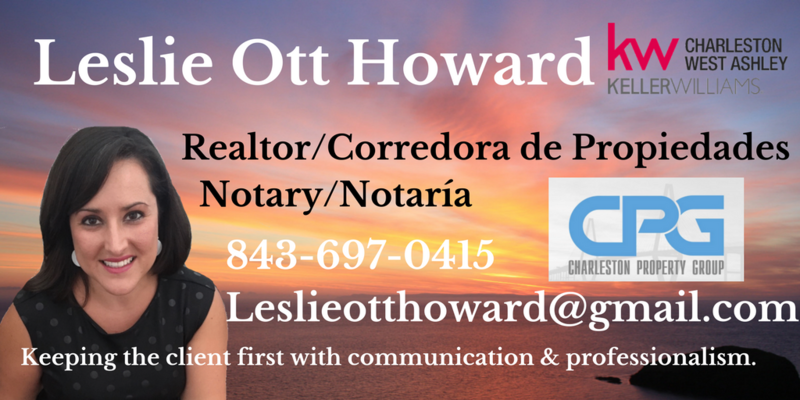 Leslie offers free Notary services to her neighborhood of 400+ residents so that they can skip the trip and charge. She graduated this year from the City of North Charleston’s Citizens Public Safety Academy, which is a 10-week hands-on program where citizens receive an inside look at what Police Officers, Firemen, Code Enforcement Officers, and Building Inspectors encounter on a daily basis. She is also a member of NAHREP (National Association of Hispanic Real Estate Professionals). Leslie focuses on adding value to her community!